Raw Skin Food specialises in vegan and organic skincare which is free from key food allergens, including soya, tree nuts, peanuts, dairy and wheat. 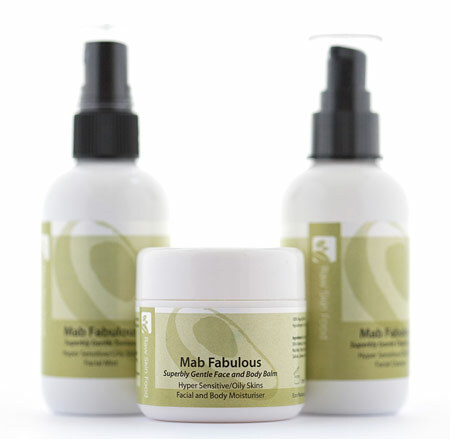 The Mab Fabulous range is designed for those with oily skin and those irritated, hypersensitive or eczematous skin. Raw Skin Food also recommend it for infants, anyone with hormonal imbalances and on skin which has been exposed to harsher treatments (eg waxing). For use twice daily in a cleansing regime. Massage into the face for a creamy gentle cleanse to lift off excess oil. Ingredients are coconut wax, grapeseed oil, orange water, ylang ylang essential oil. Controls and conceals open pores with a soothing mist which is sprayed liberally onto the face, neck and body to reduce shine, treat redness and rosacea and calm inflamed skin. Ingredients are coconut wax, grapeseed oil, rose water, ylang ylang essential oil. 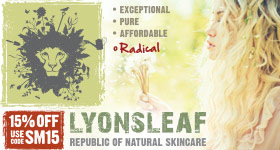 Boasting a mild natural fragrance, this can be used on sensitive and irritated areas twice daily. Recommended for the scalp / cradle cap, nappy rash and shaving bumps. Ingredients are: avocado butter, cherry kernel oil, coconut wax, grapeseed oil, ylang ylang essential oil. One of our regular testers Hazel, along with baby daugher Clem, offered to put the range through its paces and report back – as did first-time tester Mica, who has facial acne and rosacea. Here are their thoughts. “I really like the fragrance of the tonique. It smelt quite spa-like and as if it was doing good. My skin felt amazing immediately and nicely taut as well as fresh. This feeling continued for weeks and after each use. Also the texture is substantial and you really know you’ve applied something. My décolletage was like Jennifer Aniston’s afterwards and if I chose to leave it like that, glistened for a good long while... but the taste is unpleasant on your lips and for other people! Not very nice for my baby to kiss me afterwards and I’d be reluctant to spray the tonique on her. “The cleanser has a lovely fresh and subtle fragrance, smooth texture and goes on well: my face felt fresh and comfortable after use and really clean. I used the tonique all over my face and it seemed to suit it. It tastes extremely bitter though! The balm seemed oily but soaked in very quickly and didn’t leave a greasy residue. After only two days of using it I developed flu, so a very sore nose had to be contended with. The balm healed this quickly. “Overall, there were a very small number of ingredients in all three of the products, which I found comforting and I was highly encouraged to read that coconut oil is a main ingredient in all products, since I am aware of the health benefits of eating it! 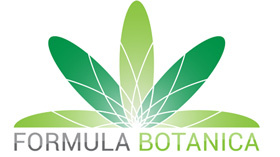 My partner commented that my skin seemed less red almost immediately after using the products. Although my rosacea is not as blatantly red as before, I am still redder-faced than the majority of people and have some spots on my chin. There was a period where I developed a very dry patch over my nose and cheeks, but I persisted as I had a feeling that the products might eventually suit me. Raw Skin Food products are free from alcohol, glycerine, SLS, petroleum, beeswax, parabens, lanolin and all key food allergens. 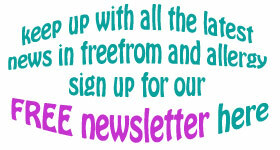 To visit the Raw Skin Food site, click here.